Students, this is the place for you, your compelling stories, creatively told, on topics that interest you. It’s the place to showcase your ideas and work to reporters, news directors, general managers, and producers. To get feedback and share ideas. Broadcasters, this is the place to see new work, to find the new storytellers, and to start a dialogue. It’s your own focus group with upcoming talent. Have a question on what drives the new generation? This is the place to ask. Broadcasting is a dynamic business. We are media companies with web sites, mobile, news, sports, emergency information, music and entertainment. Thousands of Wisconsinites invite us into their homes, autos and cell phones every day. All of this depends on great storytelling, and this is the place for students and professionals to meet, and share. Student Storytellers is an initiative of the Wisconsin Broadcasters Association Foundation, a 501(c)(3) organization. The Wisconsin Broadcasters Association Foundation contribution to broadcasting in Wisconsin encompasses a strategic, long term vision for enhancing, promoting and supporting the broadcast industry by encouraging the preservation of broadcast history, participating in public affairs activities in the State of Wisconsin and providing educational opportunities for professional broadcasters and those who seek future careers in the broadcast industry. Your contributions to the Foundation help us support our vision and are fully tax deductible. Dean Maytag is currently retired after a 42 year career in broadcasting. 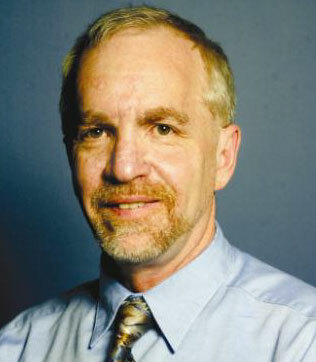 He most recently worked at WISN-TV, the Hearst station in Milwaukee, as Director of Broadcast Operations. His responsibilities included acquisition and scheduling of all syndicated and creation of all non-news programming. During that time, Dean oversaw the creation and airing of approximately 400 locally produced programs. In addition, Dean created WISNET, the statewide news sharing network , and is a multiple EMMY winner. WBA Newsroom's Student Storytellers project is his brainchild. 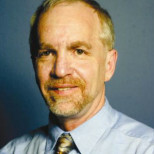 Prior to WISN-TV, Dean was the production manager at WTMJ-TV, the Journal station, where he also created and ran On-Line Video, one of Wisconsin's largest video production facilities. He also worked in Peoria at Forward Productions, film production company as Director of photography. Dean is from Iowa where he graduated from Iowa State University in Telecommunications and English. Currently, he spends time between his home in Colgate and Fish Creek.